The appeal of this silhouette lies in its simple but elegant outline. 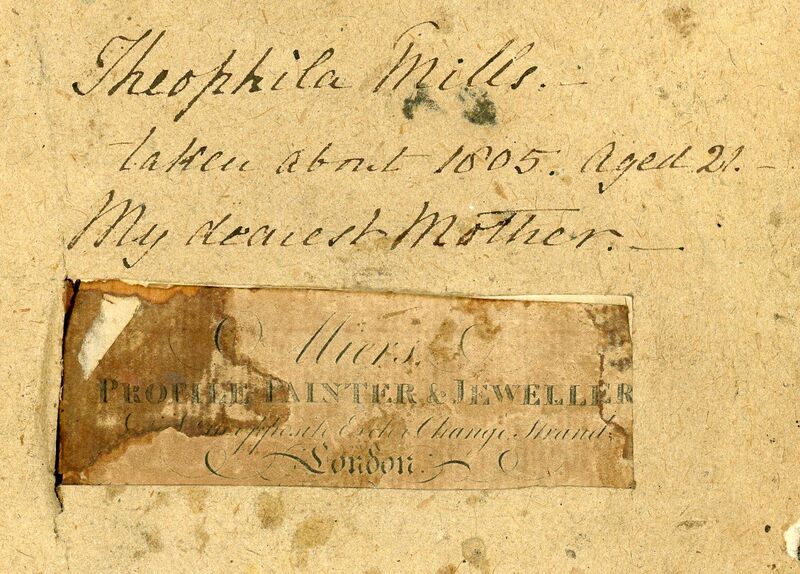 It depicts a young lady at the age of 21 named Theophila Mills, her curled hair swept up in a knot. 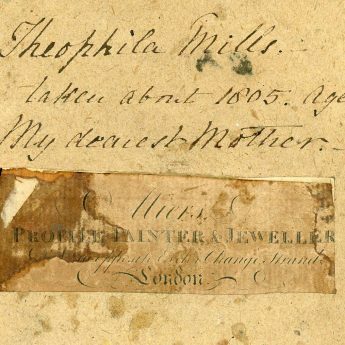 Born in 1784, Theophila was the second daughter of the Rev. Edwards and Mary Mills of Bury St Edmunds. She married the Rev. William Cruttenden, also from Bury, in June 1806, the year after this profile was painted. The couple later moved to Cheshire. 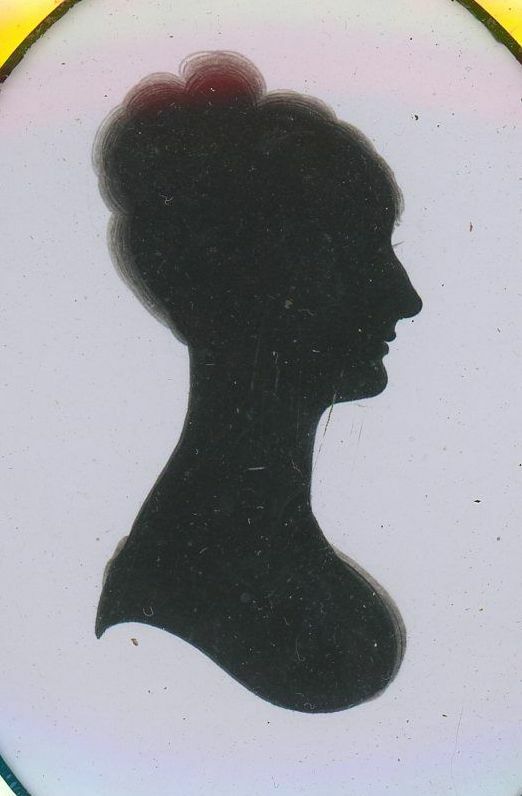 The silhouette is painted on plaster by John Miers, one of the finest eighteenth century silhouettists. 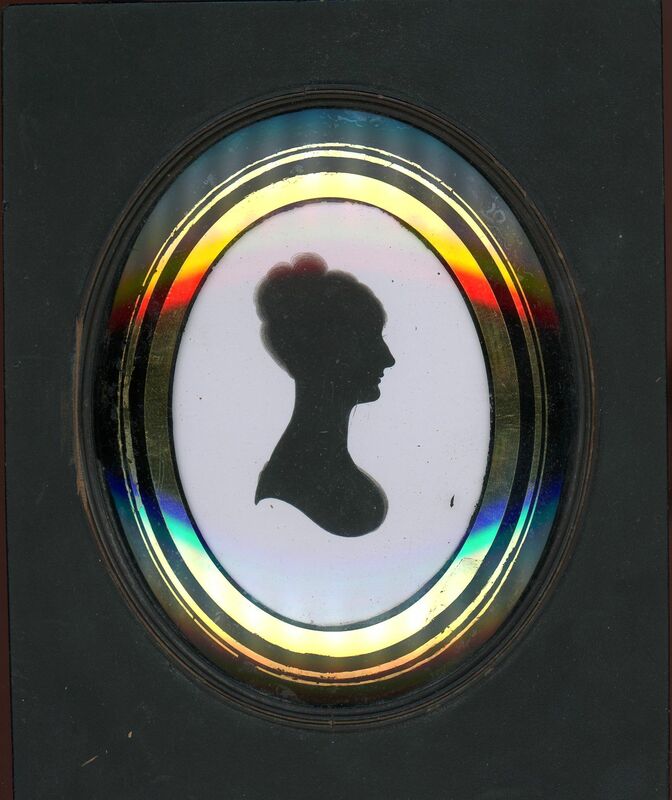 Having taken over his father’s coach-painting business in Leeds, the young Miers was keen to make his own mark and so began to advertise profile shades in miniature for 2s. 6d. He clearly excelled at them as this soon became his main line of business. 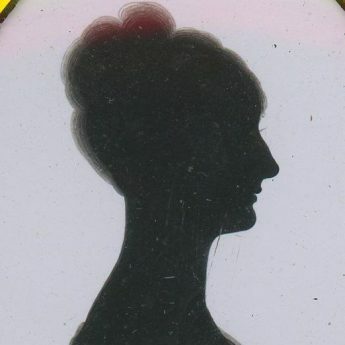 The silhouette is housed in the original pearwood frame with verre églomise glass and is backed by the artist’s trade label (partially covered over) and inscribed with the sitter’s name and the date.